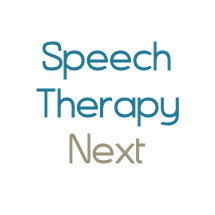 In-Home Speech Therapy & Occupational Therapy. Atlantic Speech Therapy is the leading provider of Pediatric Speech-Language, Occupational and Physical Therapy to Jacksonville, FL families. We accept insurances from all major carriers including TriCare, Blue Cross Blue Shield and other major carriers. All of our therapists are state licensed and masters trained. We treat. Mindy Gilleland is a speech-language pathologist in Saint Johns, FL. Practice Type: • School Practice Areas: • Speech Language Pathology • Speech Therapy Take the next step and contact Mindy Gilleland for a consultation in Saint Johns, FL or to get more information. Jennifer Beall is a speech-language pathologist in Saint Augustine, FL. Practice Type: • Related Professional Org Practice Areas: • Speech Language Pathology • Speech Therapy • Swallowing disorders Take the next step and contact Jennifer Beall for a consultation in Saint Augustine, FL or to get more information. Melissa Short is a speech-language pathologist in Jacksonville, FL. Practice Type: • Speech-Language Treatment Center/Clinic Practice Areas: • Speech Language Pathology Take the next step and contact Melissa Short for a consultation in Jacksonville, FL or to get more information. Elisa Neale-Tobener is a speech-language pathologist in Melrose, FL. Practice Type: • Private Physician's Office Practice Areas: • Speech Language Pathology • Speech Therapy Take the next step and contact Elisa Neale-Tobener for a consultation in Melrose, FL or to get more information. Patricia McEwen is a speech-language pathologist in Palm Coast, FL. Practice Type: • Rehabilitation Agency Practice Areas: • Speech Language Pathology • Speech Therapy Take the next step and contact Patricia McEwen for a consultation in Palm Coast, FL or to get more information.